As you may be aware of if you’ve been following me for a while, we’ve covered the all-new Honda TALON 1000 model lineup for quite some time. We have covered and broken news for years now. Slapped with a subpoena. Just all kinds of fun stuff! 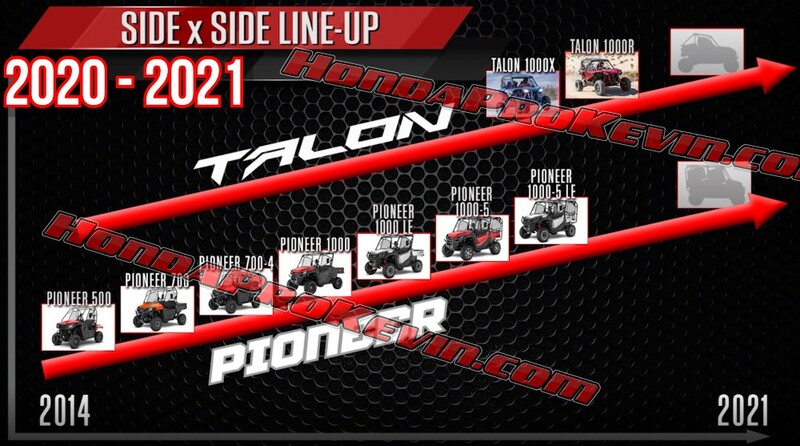 Now that the first round of TALON 1000 models in the sport SxS / Side by Side lineup from Honda have been announced – it’s time to start talking and gossiping about what the future holds for the model. Technically, the sky is the limit though as we could see more different model variations of the TALON sport side by side lineup than just adding another 1000R and 1000X but as a multi-seater with 4-5 seats. If Honda repeats history, like they did with the Pioneer utility UTV lineup – then we could see a whole lot more than that. Personally, I would love to see a TALON model with a smaller footprint than what the 1000X has to offer for the tight woods here on the east coast where a 60″+ machine just can’t go. Something alone the lines of the Pioneer 500 with a 50″ width but of course in a sport package with long travel suspension and some actual horsepower. Of course you’ll have some drawbacks but it’s something a lot of people are willing to sacrifice on to go where they want to go. Could we see a 2020 / 2021 Honda TALON 1000 Turbo model lineup? A TALON 1000R / 1000X Turbo setup – talk about breaking the internet if it drops with 150+ horsepower to go after the Polaris RZR Turbo, Can Am X3 Turbo and Yamaha YXZ 1000 Turbo models… I start to drool just thinking of that idea after my recent drive and rip session in the TALON 1000R here haha! 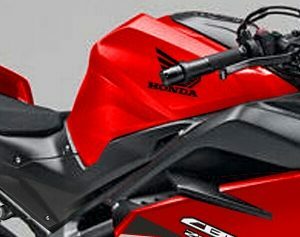 Honda hasn’t “officially” said a TALON Turbo model is on the way anytime soon but… The TALON 1000 engine has piston oil jets inside the stock engine and that leads you to think it could be a possibility down the road that they are leaving open as these are usually found on turbo=charged engines. Honda may not want to offer it as a turn-key option from the factory but could do like Yamaha is doing with the YXZ 1000 models where it is available as an OEM accessory. A Honda TALON 1000 HRC Turbo Kit as an OEM accessory – that’s got a nice ring to it, doesn’t it? Honda also wants to expand on their already existing utility-based side by side Pioneer model lineup. Could we see a Pioneer 1000 / 1000-5 performance model with the TALON 1000 engine performance goodies thrown at it? There’s quite a few different tunnels Honda could go through on this one and the possibilities are endless with what they could change on the existing models and what other new model variations they could come up with and they could end up straying away from the Pioneer nameplate all-together. They could end up keeping the quick-flip multi-seater models like the 700-4 and 1000-5 models but also branch out and do a crew cab Pioneer model for the guys that need a full utility bed on their side by side but also need all of those seats. I could ramble on about all of the different options and routes they could take but I won’t bore you guys with that haha. They key thing to take away from this image and all of the banter is… Honda isn’t done! Just because they have compiled a nice utility lineup with the Pioneer models and are getting their toes wet in the sport segment with the TALON sport model lineup – doesn’t mean they want to sit by the wayside. They want to be #1 in the side by side segment whether you’re looking for a side by side for work and utility use or to raise hell and blow your hair back with a sport SxS. Only time will tell if they’ll be able to accomplish that but all I know is things are going to get interesting. Competition from all of the major manufacturers in this industry will only benefit us consumers and will cause each of them to step-it-up in not only performance but reliability and bang-for-the-buck with our money. What I am curious about though is… What do you guys want to see? Do you want to see more engine options in the TALON sport UTV model lineup as well as more options in the width department? What do you guys want to see in the Pioneer utility side by side model lineup in the future? Off-Topic Side Note: Thanks as always for reading and following the content I put out guys. I’m sorry I haven’t been as active the last few months, I’ve had some stuff going on that has put me “down for the count” so-to-say. I’m back though and 2019 is going to be an awesome year one way or another! I just wanted to take a moment and say thanks to all of your for your continued support both on here and on social media over the last few months and since day one. * Disclaimer: Every single thing stated above is nothing but pure speculation and guessing.